This literary journal recently celebrated its tenth anniversary. 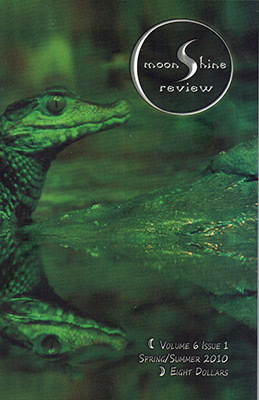 Sharon’s short story “Ripe Berries” appeared in Volume 6, Issue 1 of moonShine review. The link to order a copy is below the picture on the right.